Learn to solve fractions easy. However, some students entangled in a multitude of new terms, can not understand the more complex concepts associated with fractions. Therefore, the study of arithmetic operations with fractions should begin with the "basics" and move on to more complex subject only after mastering the previous one. First, remember that a fraction is merely a conditional record dividing one number by another. Unlike addition and multiplication, when dividing two integers is not always possible integer. Here and agreed to call these two "dividing" number of the fraction. The number that is divided is called the numerator and that is divided is the denominator. To write the fraction, write the numerator first, then slide under that number with a horizontal line and below the line write the denominator. The horizontal line dividing the numerator and denominator is called fraction bar. Sometimes it is portrayed as a slash "/" or "per". In this case, the numerator is written to the left from the line and the denominator on the right. So, for example, the fraction "two-thirds" will be written as 2/3. For clarity, the numerator is usually written at the top of the line and the denominator is at the bottom, that is, instead of 2/3 can be found: ⅔. If the numerator more than its denominator, then this "wrong" fraction is usually written in the form of "mixed" fractions. In order to receive a mixed improper fraction, simply divide the numerator by the denominator and write down the resulting quotient. Then place the remainder in the numerator of the fraction and write the fraction to the right of the quotient (the denominator do not touch). For example, 7/3 = 2⅓. To add two fractions with the same denominator, simply add their numerators (the denominators do not touch). For example, 2/7 + 3/7 = (2+3)/7 = 5/7. Similarly produce and subtraction of two fractions (numerators at the same time deducted). For example, 6/7 – 2/7 = (6-2)/7 = 4/7. To add two fractions with different denominators, multiply the numerator and denominator of the first fraction by the denominator of the second, and the numerator and denominator of the second fraction – by denominator of the first. In the end you get the sum of two fractions with the same denominators, addition of which is described in the previous paragraph. For example, 3/4 + 2/3 = (3*3)/(4*3) + (2*4)/(3*4) = 9/12 + 8/12 = (9+8)/12 = 17/12 = 1 5/12. 5/6 + 3/8 = (5*4)/24 + (3*3)/24 = 20/24 + 9/24 = 29/24 = 1 5/24. Subtraction of fractions with different denominators is quite similar. To multiply two fractions, multiply between their numerators and denominators. For example, 2/3 * 4/5 = (2*4)/(3*5) = 8/15. To divide two fractions, multiply the first fraction by the inverted (reverse) the second fraction. For example, 2/3 : 4/5 = 2/3 * 5/4 = 10/12. 10/12 = (10:2)/(12:2) = 5/6. Fractions allow us to Express in different forms the exact value of. With fractions you can perform the same math operation and with whole numbers: addition, subtraction, multiplication, and division. 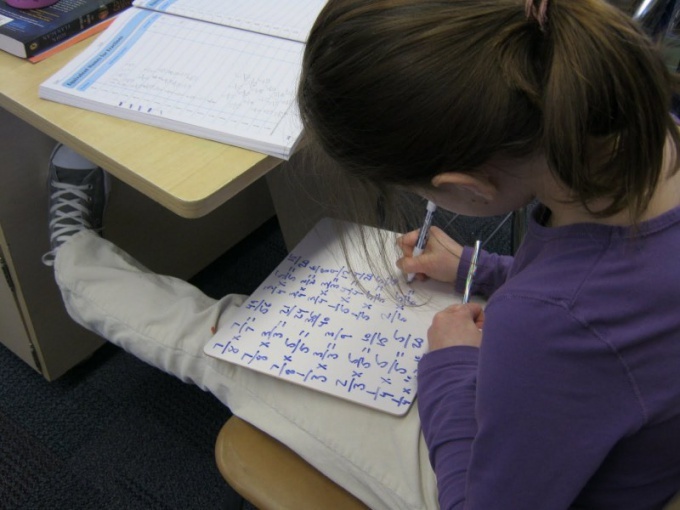 To learn how to solve fractions, it is necessary to remember about some of their features. They depend on the type of shot, the presence of an intact part that common denominator. Some arithmetic operation after performing require a reduction of the fractional part of the result. - 1 2/3 + 2 ¾ = (1+2) + (2/3 + ¾ ) = 3 +(8/12 + 9/12) = 3 + 17/12 = 3 + 1 5/12 = 4 5/12. 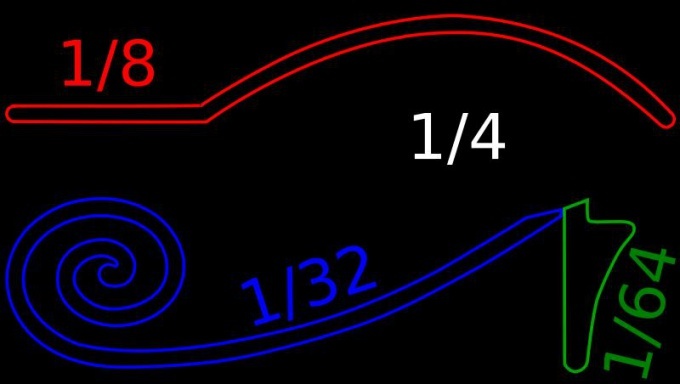 For improper fractions with different values under the dash, find the common denominator. For example, 5/9 and 7/12 common denominator will be 36. To do this, the numerator and denominator of the first fraction should be multiplied by 4 (it will 28/36) and second on 3 (get 15/36). Can now perform the necessary calculations. If you are going to calculate the sum or difference of fractions, first record found the common denominator under the line. Perform the required actions in between the numerators and write the result above the line of the new fraction. Thus, the new numerator will be the difference or the sum of the numerators of the original fractions. To calculate the product of the fractions multiply the numerators of the fractions and write the result in place of the numerator of the final fraction. Do the same for the denominators. When dividing one fraction to another write down one fraction, and then multiply the numerator by the denominator of the second. The denominator of the first fraction is multiplied respectively to the numerator of the second. Thus there is a kind of revolution of the second fraction (divisor). The resulting fraction will consist of the results of multiplying the numerators and denominators of both fractions. It is easy to learn how to solve fractionsrecorded in the condition in the form of "four-storied" fraction. If a trait is shared by the two fractions, rewrite them using the delimiter ":" and continue with the usual division. To obtain the final result, reduce the fraction, divide the numerator and the denominator by a single integer, the largest possible in this case. While above and below this line must be integers. Do not perform arithmetic operations with fractions, the denominators are different. Choose a number that when multiplied by it, the numerator and denominator of each fraction in the result, the denominators of both fractions were equal. When writing fractional numbers the numerator is written above the line. This value is referred to as the numerator of the fraction. Below the line is written to the divisor, or denominator, of the fraction. For example, half a kilogram of rice as a fraction written in the following way: 1 ½ kg of rice. If the denominator is equal to 10, such a fraction is called a decimal. The numerator (dividend) is written to the right of the integer part using a comma: 1.5 kg of rice. For computational convenience, such a fraction can always be written in an incorrect form: 1 2/10 kg of potatoes. To simplify, you can reduce the values of the numerator and denominator by dividing them into a single integer. In this example, perhaps dividing by 2. The result is a 1 1/5 kg of potatoes. Make sure that the numbers that you are going to perform arithmetic operations, presented in the same form. The number written in the format of fractions, contains information about how parts should divide the whole (denominator) and how many parts (numerator) is present in fraction value. An integer can also be converted into a fractional format to simplify mathematical operations involving integral and fractional quantities, such as the operation of subtraction. Translate integer - "minuend" in the format improper fractions. To do this, in the numerator, put the number itself, and as a denominator, use one. Then bring the resulting ratio to the same denominator, which is used in the other shot - in "wikiteam". Do this by multiplying by the denominator of the deductible quantities on both sides of the slash reducing. For example, if 15 subtract 4/5, 15 need to convert so: 15 = 15/1 = (15*5)/(1*5) = 75/5. Subtract from the numerator derived by the first step improper fractions the numerator of the fraction is subtracted. The resulting value will be above the fraction bar of the resulting ratio, under the line and place the denominator to subtract fractions. For example, for the model given in the previous step, the entire operation can be written as: 15 - 4/5 = 75/5 - 4/5 = (75-4)/5 = 71/5. If the numerator of the calculated values are greater than the denominator (improper fraction), to better represent it in the form of a mixed fraction. To do this, divide the larger number by the smaller the obtained value with no residue and would be a part of it. In the numerator of the fractional part of the deliver remainder, and the denominator unchanged. After this transformation the result of the above-described example, needs to take a look: 15 - 4/5 = 71/5 = 14 1/5. The above algorithm produces the result in the format of fractions, but it is often necessary to obtain a decimal fraction. It is possible to produce described in the first two steps of the operation, and then divide the numerator of the obtained fraction to its denominator, the resulting value will be a decimal fraction. For example: 15 - 4/5 = 71/5 = 14.2 deaths. Alternatively, the first step to translate subtracted from the fraction in decimal format, that is to divide the numerator by the denominator. After this will take away the subtrahend from the minuend in any convenient way (in a column on the calculator, mental arithmetic). Then the example above can be written as: 15 - 4/5 = 15 - 0,8 = 14,2.